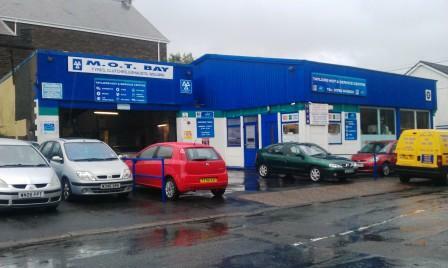 Welcome to TAYLORS MOT & SERVICE CENTRE based in Clydach, Swansea. 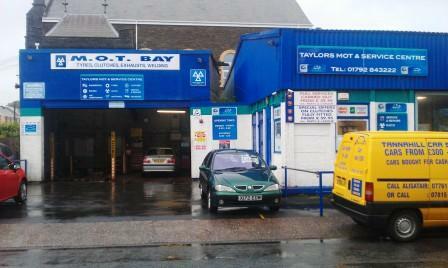 We provide a full garage service for all your motoring needs, Tyres to Clutches, Brakes to Oil change, whatever it is your car needs Taylors will take care of it, call us or pop in to our garage in Clydach, Swansea, we are sure you will be more than happy with the service we provide. We have been established in the village of Clydach, Swansea since 2007 and servicing and MOTing cars for many years before that, we pride ourselves on excellent customer service and therefor have many loyal customers. Is your car not performing like it should, using more fuel than it should be, perhaps it needs a tune up or you could be due for a service, regular serviceing of your car not only extends its life but keeps it running safely and smoothly. 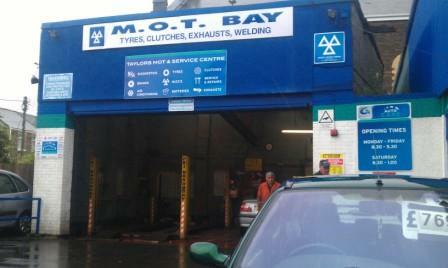 Whatever it is you require for your vehicle, we at TAYLORS MOT SERVICE & REPAIR are here to help. 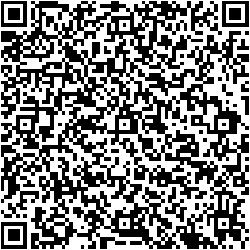 Scan the QR code below and save to your phone contacts.